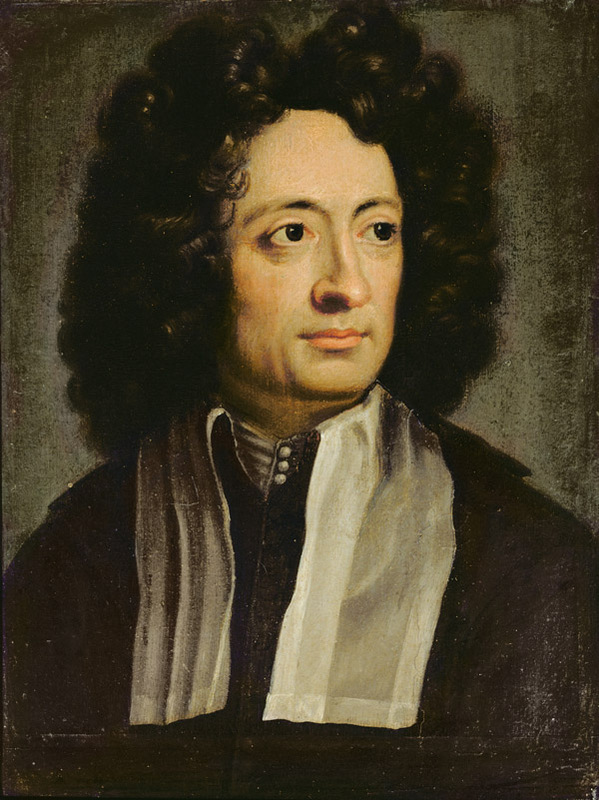 Arcangelo Corelli (1653-1713) was, although not the most prolific, one of the most influential composers of the baroque period. He never married and lived for the last 30 years of his life with the violinist Matteo Fornari, to whom he was “devoted” and “rarely to be absent from his side”. 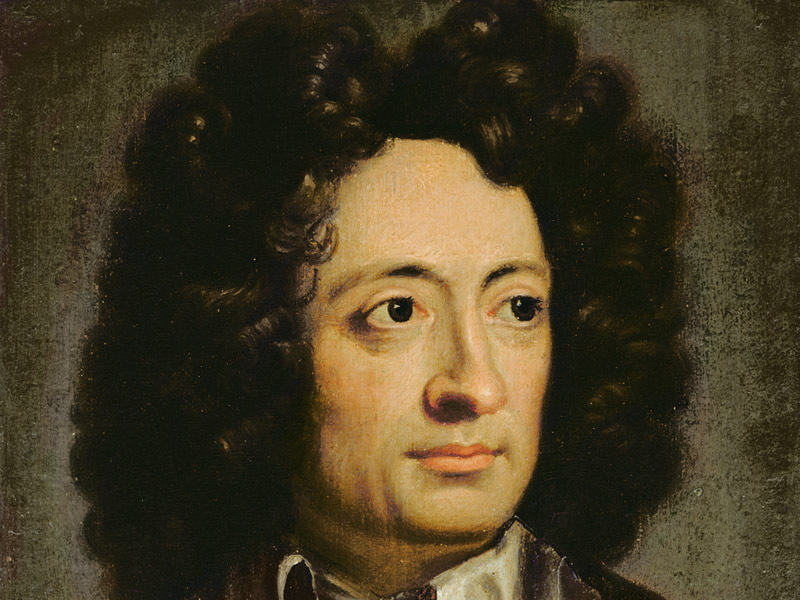 As well as his 50 sonatas, which were used as models by many 18th century composers, Corelli was a pioneer of the concerto grosso, a baroque form in which the performance is shared between the orchestra and a small group of soloists. His 12 concerti, which inspired works by Locatelli, Vivaldi and Handel, among others, have survived because of his partner Fornari’s efforts to have them published after Corelli’s death in 1713, at the age of 59. He died wealthy; his only indulgence had been collecting art and violins - these, along with his manuscripts, were all bequeathed to Matteo Fornari. Haggerty, G.E. (ed.). 2000. Gay Histories and Cultures. Garland Publishing: New York, p.215. Europe has a long history of using bright colours and symbols to represent LGBTQ+ people. In the late 19th and early 20th century, gay Londoners and Parisians wore a green carnation; Oscar Wilde is a famous example. Under Nazism, gay prisoners in concentration camps had to wear a pink triangle as a sign of shame. This symbol was reclaimed in the 1970s as a symbol of gay rights and protest. Since 2000, the Independent on Sunday has published the Pink List to celebrate influential LGBTQ+ people in the UK. It was renamed the Rainbow List in 2014 and the rainbow flag is now the most popular LGBTQ+ symbol. The first rainbow flag had eight stripes and was designed by Gilbert Baker in San Francisco in 1978. The flag is a symbol of unity between all people and a celebration of diversity. Although not created with an LGBTQ+ theme in mind, this watercolour echoes the experience of many queer people when trying to 'fit in' to mainstream society. 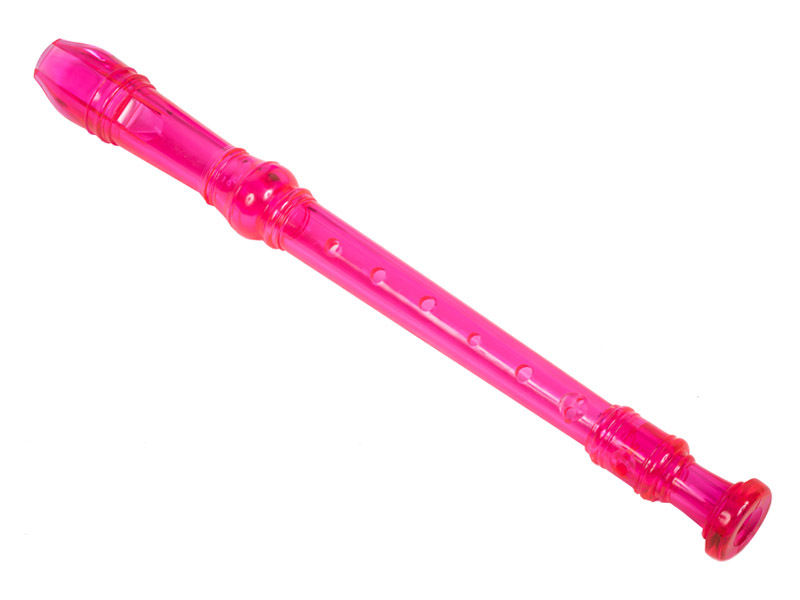 I was fascinated to hear from the curator that, by sound alone, it is not possible to tell the pink plastic recorder apart from one of its more respectable wooden companions. I feel lucky to have grown up in a time and place where it tends to be accepted that, similarly, LGBTQ+ people are the same deep-down as everyone else, even if we do initially seem a bit strange, a bit different. But often, we can find ourselves caught between embracing a colourful, loud and proud identity or suppressing our 'pinkness' so that we can be fully accepted as part of the group, just like everyone else. 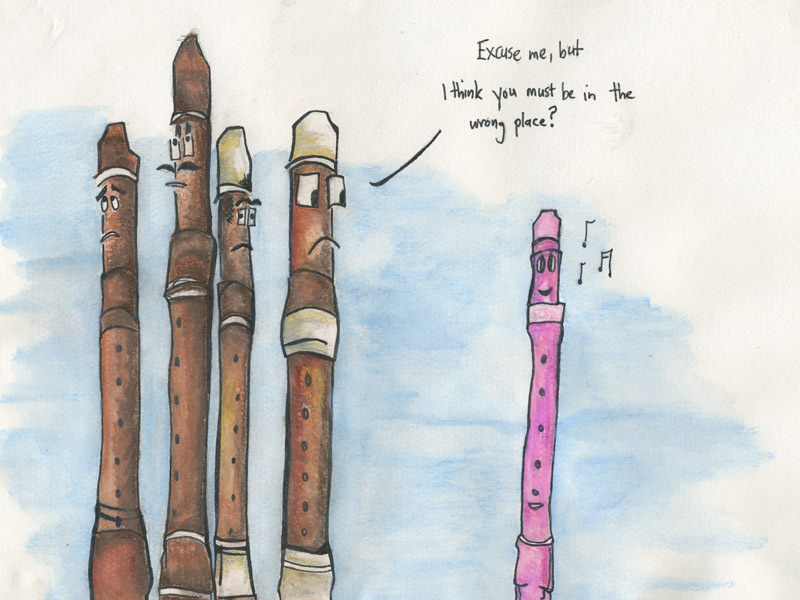 LGBTQ+ groups, pubs and events can be a huge comfort; it is great to hang out, every now and again, with other 'pink recorders' in a space that feels fully ours, where we do not have to think about whether we look out of place or not.